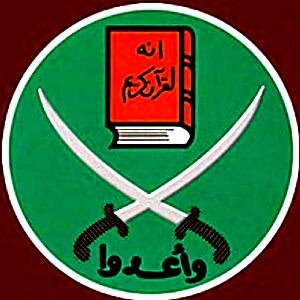 September 25, 2013 The Muslim Brotherhood has denied multiple media reports that it is moving the bulk of its operations to London, after a Cairo court banned the activities of the organisation and its subsidiaries. The Brotherhood, the party of ousted Egyptian President Mohammed Morsi, already runs an office in the UK, headed by Ibrahim Mounir, a senior figure in the organisation now in exile in London, according to the BBC. The Egypt Independent reported that the Muslim Brotherhood would now move its media and publishing operations to the UK capital. Supporters of ousted Egyptian President Mohamed Morsi raise up posters with the four finger symbol during a demonstration against the military backed government in the Egyptian capital Cairo But this was denied by the organisation’s UK office. ‘The news of any move to London is entirely false and another fabricated piece of information the military Junta continuously disseminates,’ a spokesman told HuffPost UK. On Monday, the Cairo Court for Urgent Matters ordered the interim government to seize the Brotherhood’s funds and form a panel to administer its frozen assets until any appeal had been heard. Dozens of senior figures are in prison and hundreds of supporters killed in clashes with security forces. The Brotherhood’s political wing, the Freedom and Justice Party, may still be able to operate, but amendments to the 2012 constitution now ban political parties that have religious links. A post from yesterday discussed the original report and provided background information on Mr. Mounir.